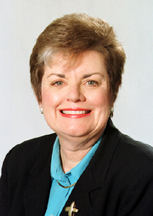 Justice Maura Corrigan was elected to the Michigan Supreme Court in 1998 and re-elected 2006. She served as Chief Justice from 2001-2004. Though her term was to expire in 2015, she left the Court in 2011 and was appointed by Gov. Rick Snyder (R) to head the Department of Human Services. Justice Corrigan graduated from Marygrove College and the University of Detroit-Mercy School of Law. She served as a law clerk on the Michigan Court of Appeals before becoming a United States Attorney. She worked in private practice at the Plunkett & Cooney law firm in Detroit, and was appointed to the Michigan Court of Appeals by Gov. John Engler (R) in 1992. She served as Chief Judge of the Michigan Court of Appeals from 1997-1998.